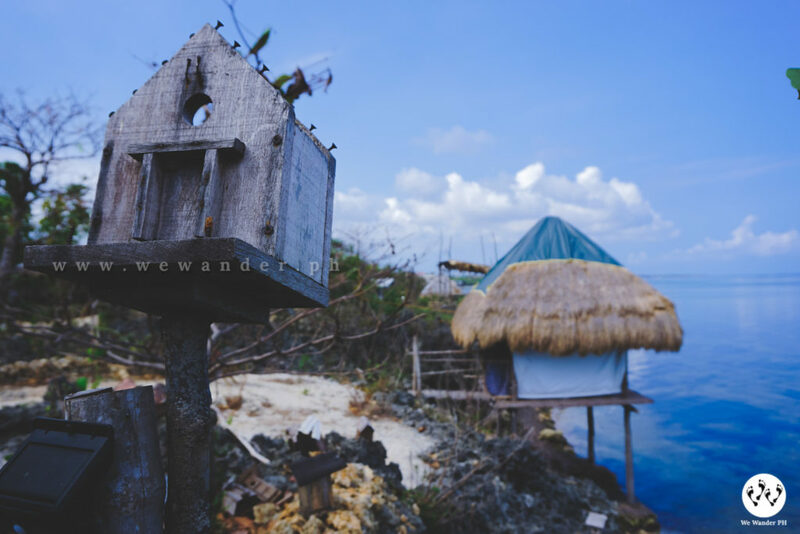 Tucked in the north end of Bolinao is a paradise called Birdland Beach Club. This unique eco-resort was opened on April 2016. 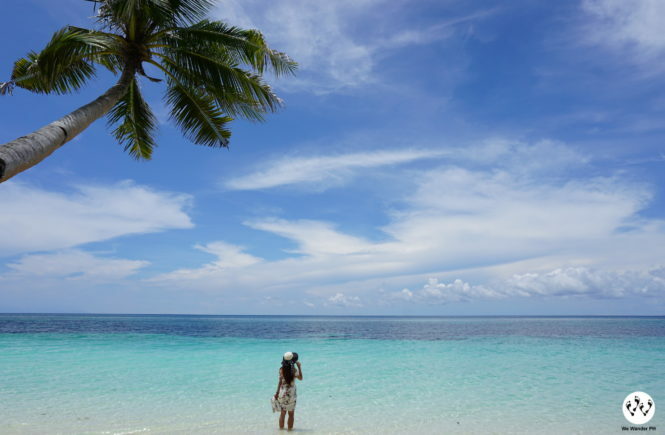 Getting to this place requires 5 to 6 – hour roadtrip from Manila. Before going, make sure you plan everything – the places you want to visit, the itinerary and the expenses. 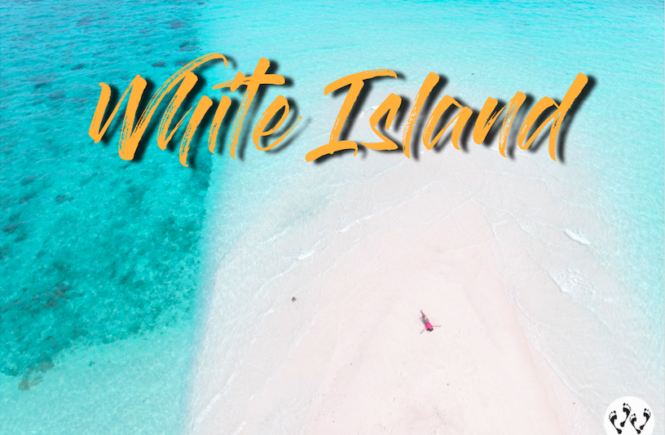 With this guide, we will show you how you can spend your well-deserved vacation. 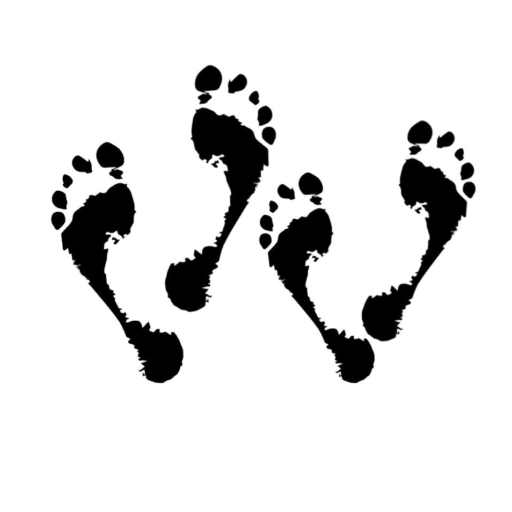 First things first, you need to book online through Agoda, Airbnb and thru their website. They accept credit card and bank deposits. No payment means no reservation. 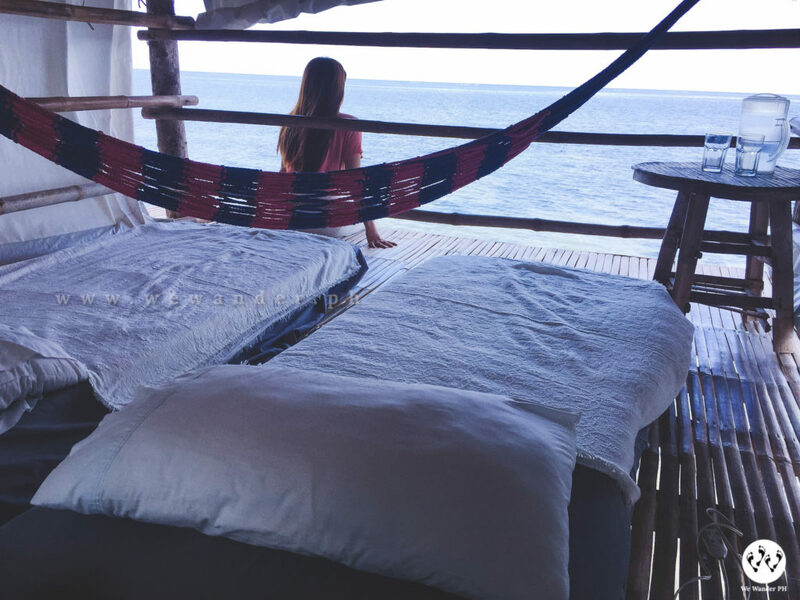 You can choose from a wide selection of rooms and accommodations from modern air-conditioned cabanas to Ifugao-inspired wooden homes (Bolifugao), cogon grass outdoor kubo huts and budget huts with electric fans. 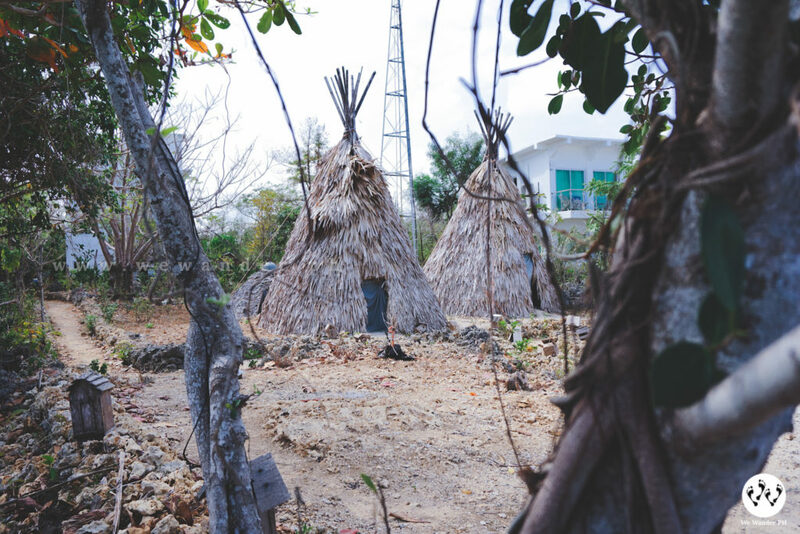 All of these kubos and buildings were carefully planned and built not to damage the coral rocks. 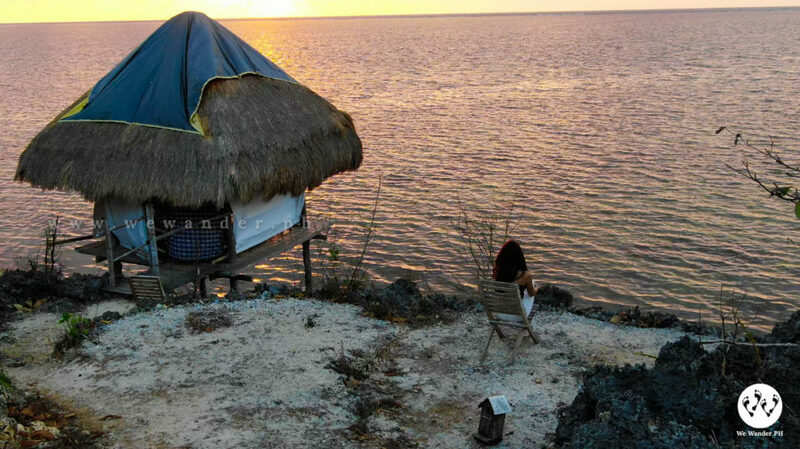 We stayed in their Beach Front Posto that perfectly sits over the water during high tide and has one of the best views of the sunset. 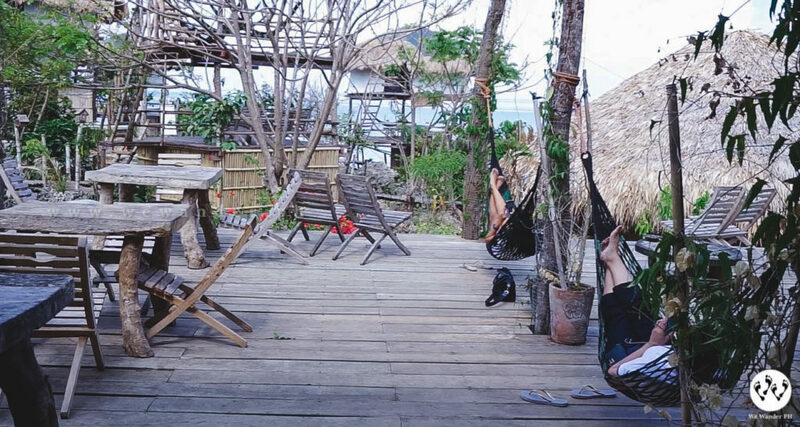 You can lie down or chill on their hammock watching the endless sea view. 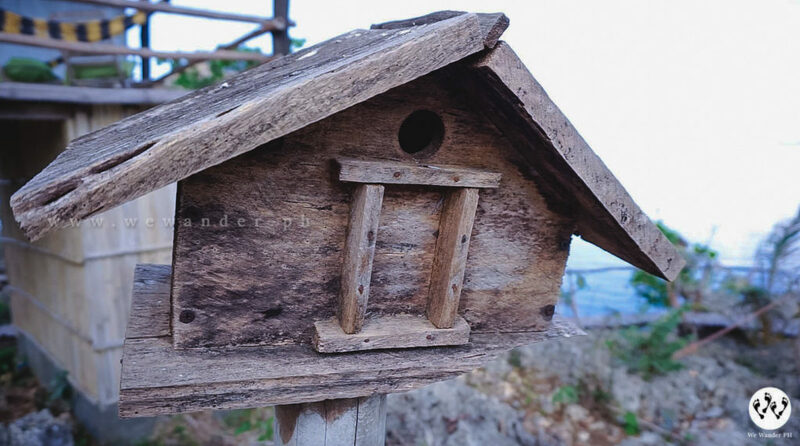 At night, the cold sea breeze will pamper you to sleep while the bird’s chirping will greet you in the morning. 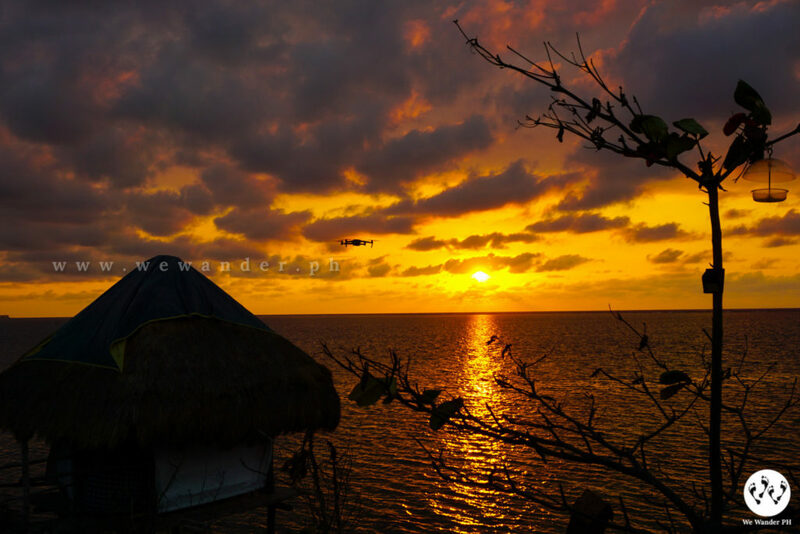 Birdland is a good spot to witness the sunset, so whether you’re inside or outside your kubo, you’ll see the sky turns to magnificent colors of orange and red when the daylight fades. Birdland is obviously fascinated with birds. 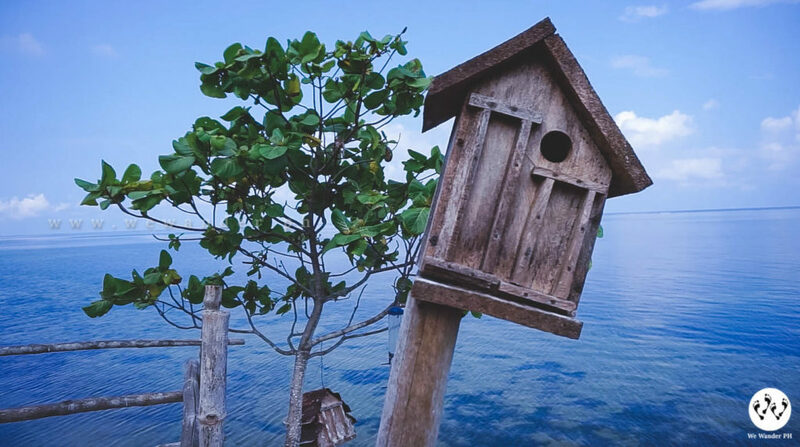 Birdhouses are positioned naturally within the place and can be seen almost everywhere. 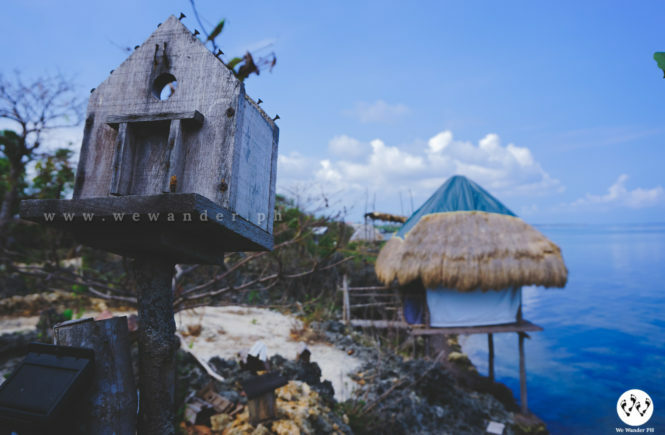 These birdhouses are not only for display, they are real shelters for Bolinao birds. Aside from birds, you will find cats, dogs, goats and horses. Birdland is a pet-friendly place so you can bring your fur friends with you. Birdland grow their own fruits and vegetables served in the resort and do not use msg, gmo products and all-in-one seasoning. They use muscovado sugar, honey and fresh milk to their menus and is vegan, paleo and vegetarian friendly. Your overnight stay comes with free breakfast that starts from 7:30am to 10:30am. Among the choices are Dangsilog (unsalted Danggit), Espasilog (unsalted Espada fish), Pusilog (unsalted dried posit/squid) and other common Filipino silog entries. For lunch, we personally loved their Thai Green Curry Chicken. The serving was plenty and oozing with flavor and perfectly spiced. You may also request to deliver the food straight to your kubo but with service charge. Birdland Beach Club has a lot of activities to offer to its guests. 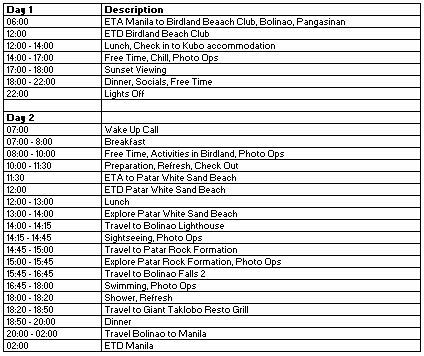 Plan your schedules and itinerary so you can choose which activities you want to experience. Go swimming and chilling in the middle of the sea on their floating bamboo house. 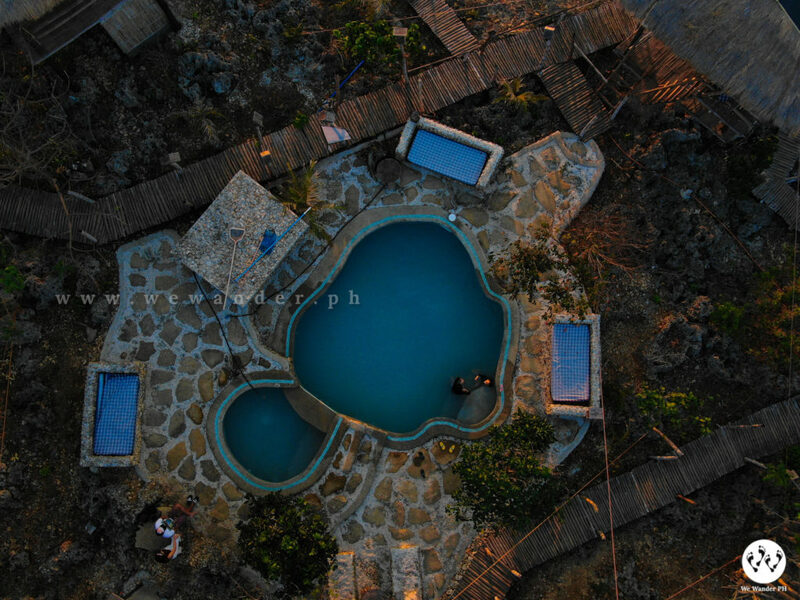 This is free of use and is a few minutes walk from your kubo. 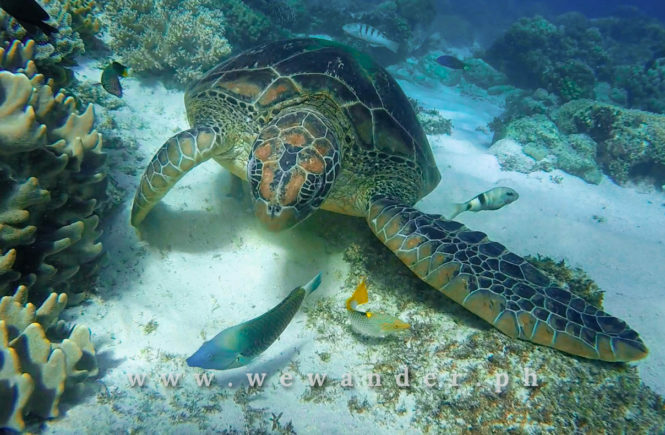 Check out the corals and marine life underwater like starfish, giant clams and different species of fish. There is also a small pool if you don’t feel like going to the beach. 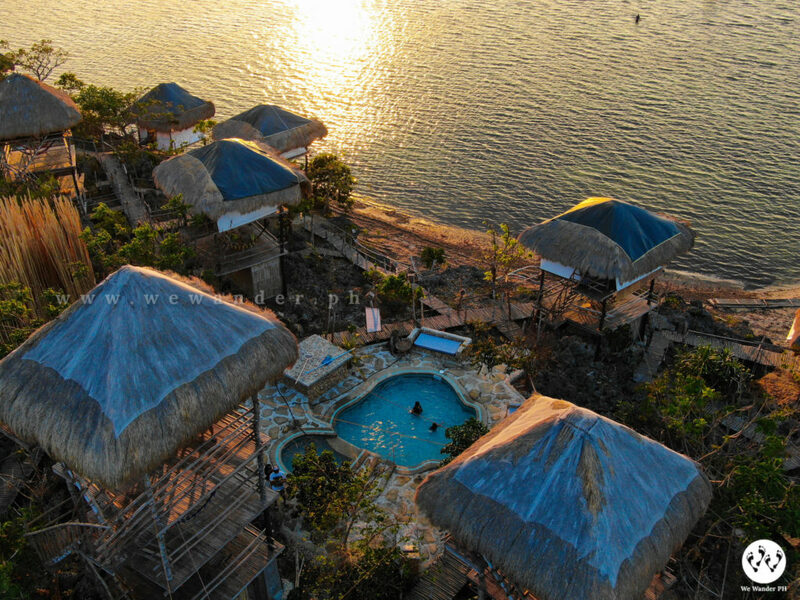 Relax and enjoy with your barkada while in their big white balsa floating over the sea. Explore Bolinao and nearby tourist spots while biking. 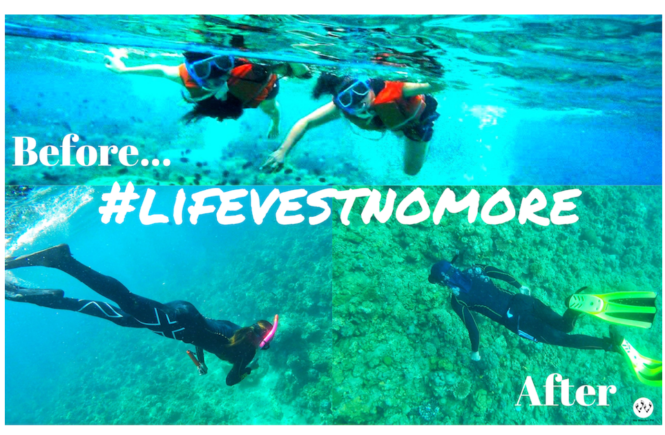 Explore the beauty of Patar Beach, Underwater caves, lighthouse and rock formations while on ride with their bamboo tricycle. The rate is good for two persons. Additional person is Php250. Using the Bamboo Tricycle, go waterfalls chasing in Bolinao Falls and enjoy swimming and cliff diving. The rate is good for 2 and usually takes half a day to complete. 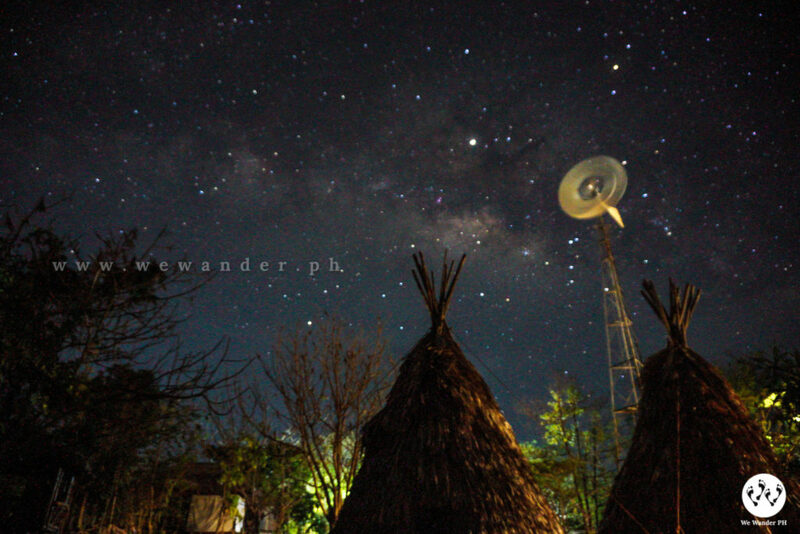 At night, sit under the million stars and go stargazing and milky way watching. And if you don’t feel like doing anything, just relax and enjoy yourself on a hammock. 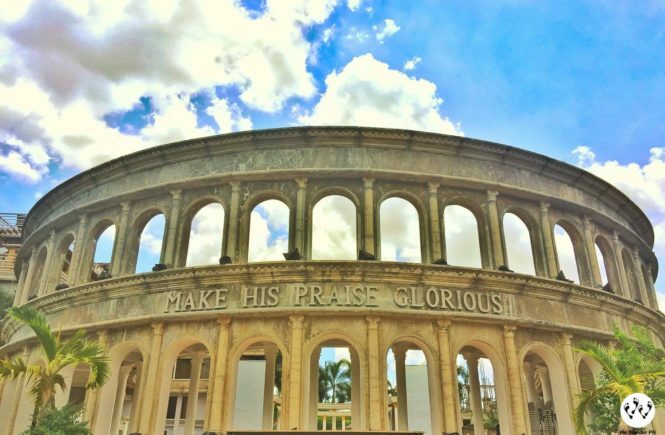 Aside from the above, you can also explore the city, golf driving range into the ocean, fishing, Hundred Islands tour and many more. Since we brought our car when we visited Birdland, we did the tours the Do-It-Yourself way. After check out, we went to Patar White Sand Beach the farthest among the destinations followed by Bolinao Lighthouse, Patar Rock Formation and Bolinao Falls 2. This trip will last for half a day or more depending on how long you stay to each destination. You can follow our sample itinerary below. Check out our 2D1N Bolinao, Pangasinan Travel Guide for the complete adventure. And before we end this, if you are going to eat in Bolinao, do visit and dine with Giant Taklobo Resto Grill and try their Seafoods Kare-Kare. 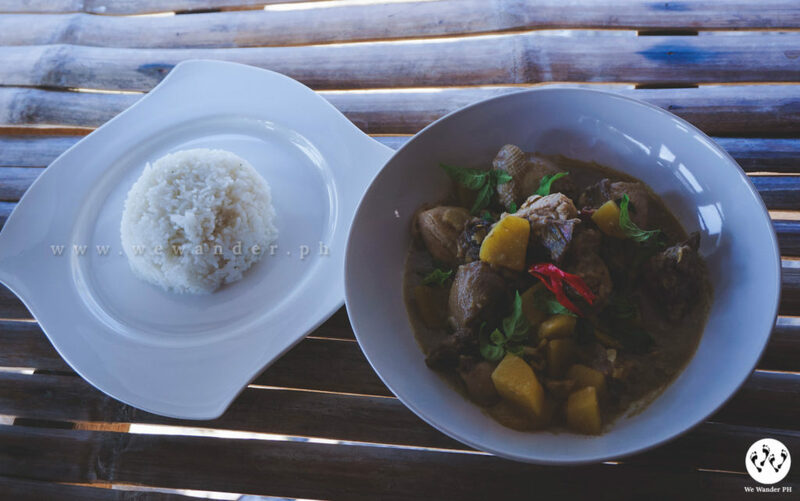 It is one of the most satisfying and delicious Kare-Kare we’ve tasted. Highly recommended for affordability, serving quantity and service! Book in advance especially during weekends and peak season. No payment means no reservation. Service charge of 10% of your booked accommodation plus VAT (Value Added Tax) will be collected upon your arrival for those who made their reservation thru bank transfers. For online booking, only VAT is included in the payment. Service charge of 10% of your booked accommodation will be collected at the resort. Make sure to bring extra cash. Upon arrival, they will collect a certain amount as deposit (we gave Php3,000.00). This will be returned on checkout. Note that the price of the food in their menu does not include service charge and VAT. Some of the activities are free and some are subject for service charge. There is a strong signal for mobile network. Bringing of food and drinks are subject for corkage fee. Snacks and water is free of charge. Don’t smoke in kubos and rooms. There are designated place for smoking with ashtrays. Do not litter. Place your garbage in the trash bins. Avoid too much noise. Quiet hours starts at 10pm for everyone’s enjoyment and peace. Best way is to use Waze. You should pass to NLEX all the way up to Tarlac City to Camiling. Then follow the route Olongapo-Bugallon road. Next is following the Alaminos-Bani Road until you get pass through Bani-Bolinao road. 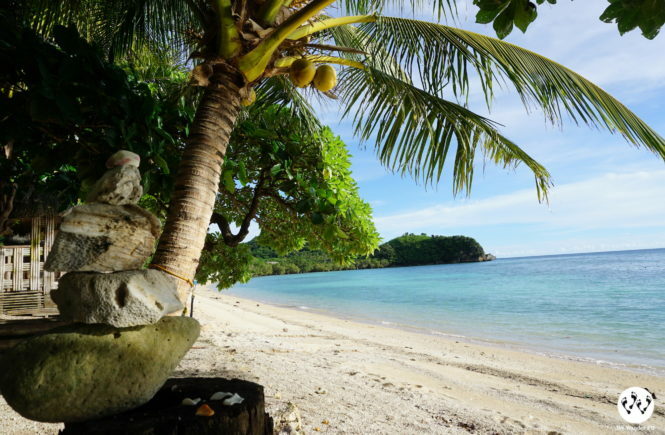 This will lead you to Saturnino Camangian then Governor’s road, which will finally bring you to Birdland Beach Club. Travel time is 5 – 6 hours from Manila with rest stops. Ride a bus heading to Bolinao from Cubao bus terminals. Victory Liner and Five Star have regular schedules going in and out of Bolinao. 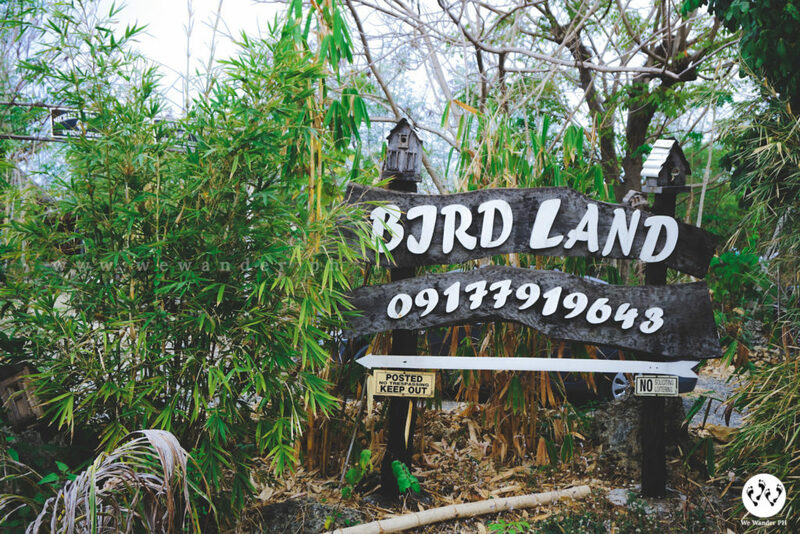 Drop off at their last stop (terminal in Bolinao) then ride a tricycle to Birdland Beach Club.